Internet-based measurement is a set of methods applied to quantitatively describe the structure, workload, and use of the Internet. They provide a practical means of doing a kind of virtual ‘fieldwork’ on the Internet using online tools and network monitoring techniques to gather fine-scale primary data. Internet-based measurement as a methodology for human geography is important because it (1) provides insight to the underlying structural processes of the Internet and Internet-based activities; (2) allows users to explore and analyze the Internet for themselves; and (3) allows researchers to aggregate data spread across multiple websites to analyze offline phenomenon. After outlining the five distinct kinds of geographical locations associated with an Internet-based resource (lexical, hardware, production, ownership, and use), this article outlines a range of tools and techniques for exploring these geographies. These include IP address geocoding, domain name whois lookups, website rankings, ping, and traceroute. These tools can provide an understanding of the topological structures and geographies of the Internet, and allows users to construct information firsthand and critically question network operations directly. 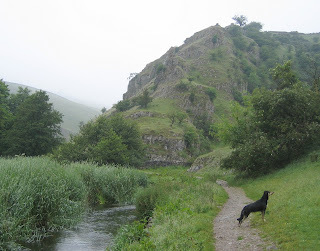 Did a nice walk yesterday in the south of the Peaks, from the village of Hartington down Wolfscote Dale and around a bit and then back along Biggin Dale. Despite the bouts of rain, endless drizzle and low mist, the landscape was fascinating and great change from the Dark Peak moors.